All bloggers wants readers. Without good search visibility, people who are interested in your content, but don’t know you, may never find you. Good day my blog readers. On our previous thread in the tag ‘Blog money’, I started up a thread on how to make money in a blogging system, and I made it cleared to you that there is no way you can succeed making money in blogging without optimization of that blog to search engines. 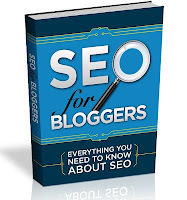 Today’s stroll, I would be briefing some points in optimization of blogs to search engines, thereafter, you would then download the ebook I would be attaching to this thread for you to read and get the full details in blog optimization. Search engine optimization is often about making small modifications to parts of your website. When viewed individually, these changes might seem like incremental improvements, but when combined with other optimizations, they could have a noticeable impact on your site's user experience and performance in organic search results. You're likely already familiar with many of the topics in the guide that I would be giving out, because they're essential ingredients for any web page, but you may not be making the most out of them. The guide would make you understand the categories listed above. After going through the guide and you have any related issue, let us know. Once your blog is fully optimized to search engines, the next line of action is to get started with affilate programs. That is, on my next thread I would be laying down the top affilate programs you can make money from. Over to you, if you have any related issue in blogging seo or related issues, let me know. I would love to hear from you.